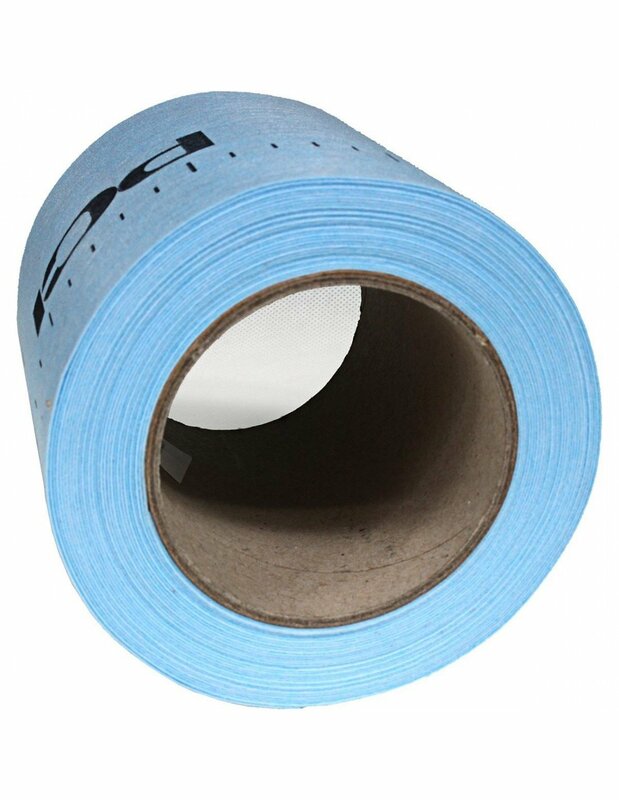 is a waterproofing tape designed to seal corners, perimeter joints, pipe culverts and floor drains. Its oblong shape works perfect in sealing between the separate surfaces. Recommended for both home shower rooms, as well as professional use like swimming pools. The simplicity of the product and installing it greatly speeds up the work and give immediately visible results. 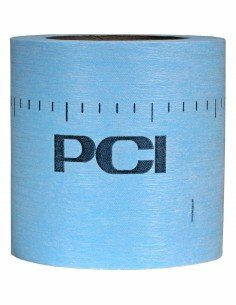 PCI Pecitape 120® x 10m is made of materials which provide waterproof and strength, which is very important in tanking your bathroom. 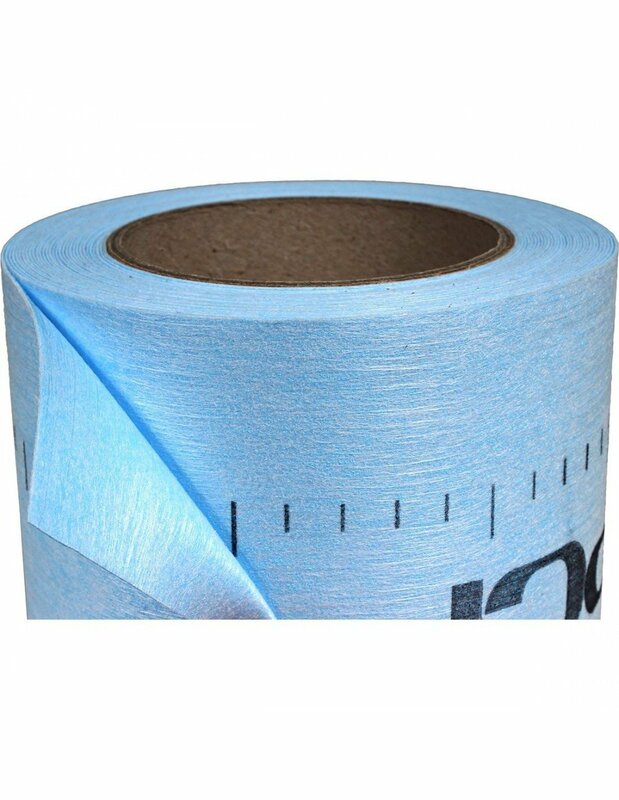 This product is 12cm wide and 10m long. It is sufficient to seal small shower area. Recommended usage with under tile composite sealing Lastogum® PCI or PCI Seccoral®. 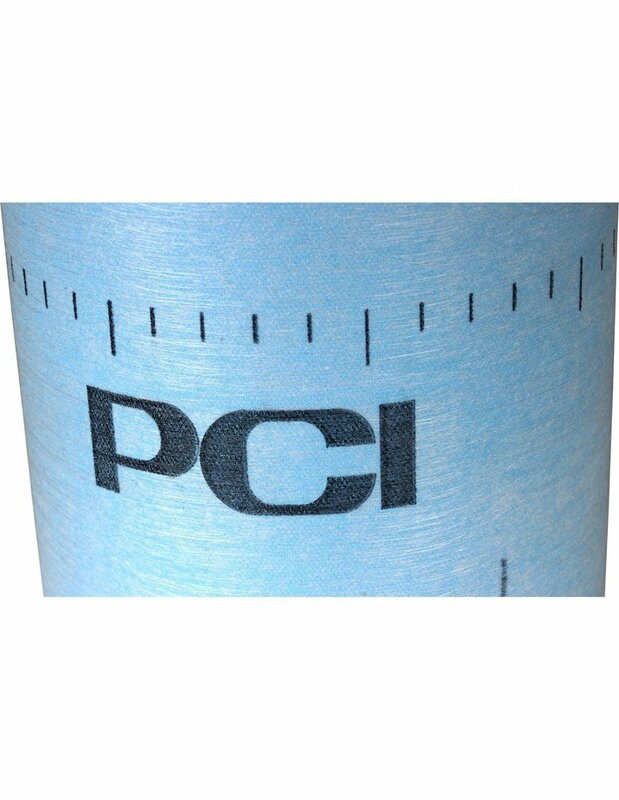 PCI Pecitape 120® is also avaiable as 50 meters long. Waterproof, flexible protective coating PCI Lastogum® under ceramic coverings in showers and bathrooms. Crack-bridging, high reliability when cracks in the substrates form at a later stage. Impermeable to water and resistant to frost, all-purpose use indoors and out. For wet areas with non pressing water such as showers, in residential buildings, hotels, old people's homes and hospitals. For forming corner joints and floor/wall junctions in combination with the waterproofing membranes PCI Pecilastic W and PCI Pecilastic WS. For waterproofing according to - ZDB leaflet "Bonded waterproofing with tiles and flags", edition 2010. - Building regulation list A part 2 no. 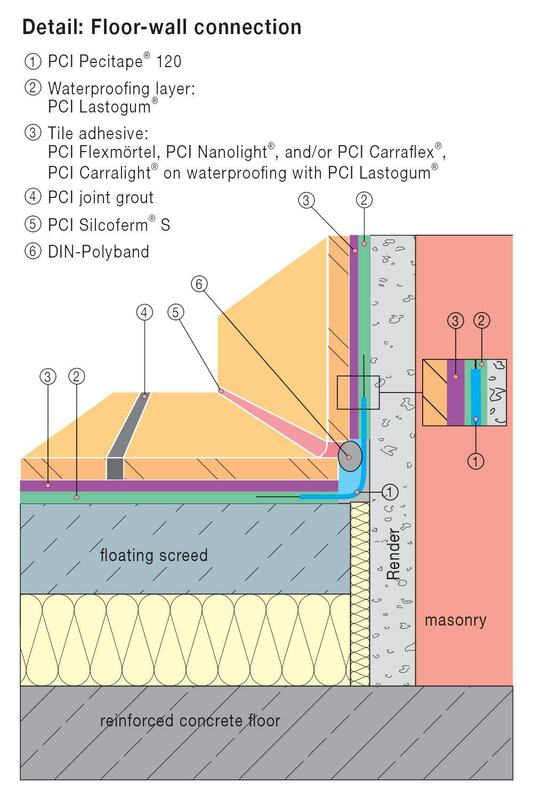 1.10 "Waterproofing substances to be applied in liquid condition directly unter tiles and flags ..."
PCI Pecitape 250 for additional embedding in the bitumen coating PCI Pecimor 1K and PCI Pecimor 2K. The substrate must be sound, dry, even, clean and free of oil, grease and other bond-inhibiting residues. The special requirements for the preparation of substrates for the products PCI Lastogum, PCI Seccoral 1K/2K Rapid, PCI Apoflex W/F, PCI Collastic, PCI Pecimor 1K, PCI Pecimor 2K are to be followed (see technical data sheet nos. 177, 303, 310, 306, 307, 146, 311 and 302). In the connection area floor/wall and/or wall/wall apply PCI Lastogum, PCI Seccoral 1K/2K Rapid, PCI Apoflex W/F or PCI Collastic by brush or trowel in strips of approx. 10 cm and/or 15 cm. Press PCI Pecitape 120/250 into the wet waterproofing material. Do not use sharp-edged tools! When applying the waterproofing material to the entire area make sure that PCI Pecitape is fully covered. Cut a hole into the waterproofing collar PCI Pecitape 42.5 x 42.5 corresponding to the diameter of the component to be waterproofed (floor drain, pipe culvert etc). Apply the waterproofing material to the substrate by brush or trowel and press the waterproofing collar PCI Pecitape 42.5 x 42.5 into the wet material. 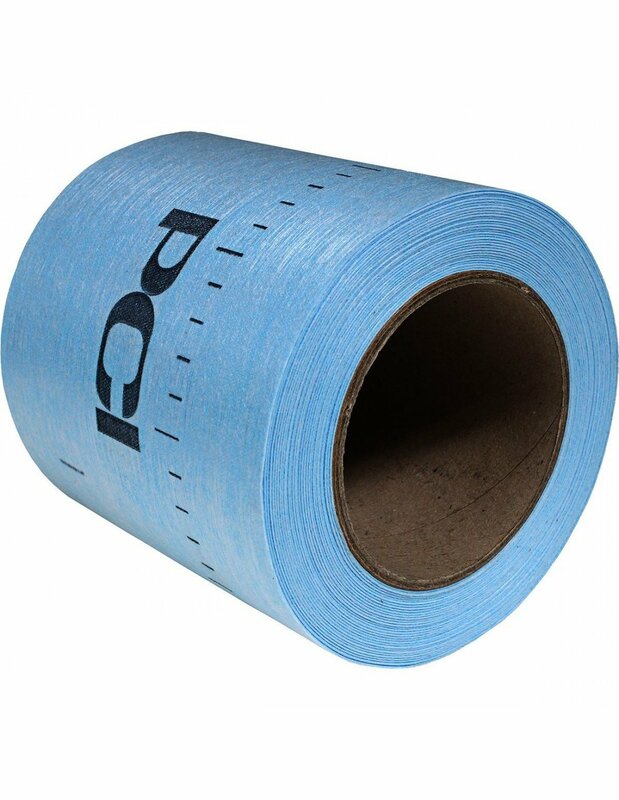 When applying the material to the entire area make sure that the waterproofing collar PCI Pecitape 42.5 x 42.5 is fully covered; for floor drains with clamping flange: attach flange and screw tight. Prior to applying the waterproofing collar PCI Pecitape 10 x 10 make sure that the collar is fixed to the conduit pipe. If the conduit pipe does not reach beyond the waterproofing level a distance piece should be attached by a professional. The interim plug should not be covered! 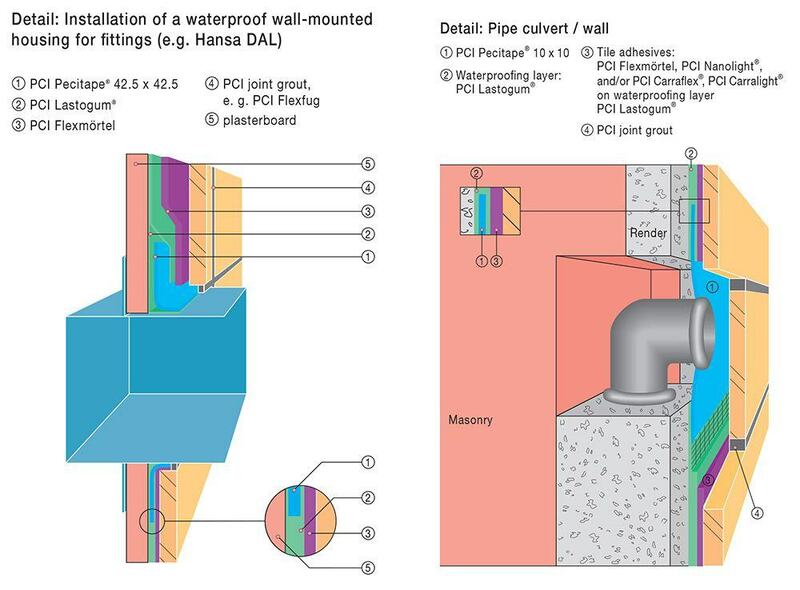 Apply the waterproofing material to the substrate by brush or trowel and put the waterproofing collar PCI Pecitape 10x10 over the pipe connection sticking out of the wall (if necessary remove interim plug beforehand) and fix with the waterproofing material. When applying the material to the entire area make sure that the waterproofing collar is fully covered. 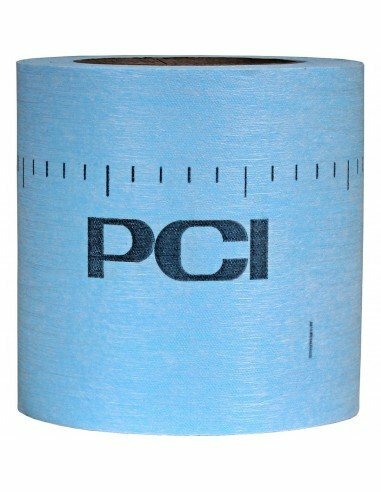 Use prefabricated internal corner PCI Pecitape 90°I and/or external corner 90°A to waterproof corners in rooms in combination with PCI Pecitape 120; fix the edges of the waterproofing tape and corner piece with the waterproofing material or with silicone joint sealant. The minimum overlap should be approx. 5 cm. 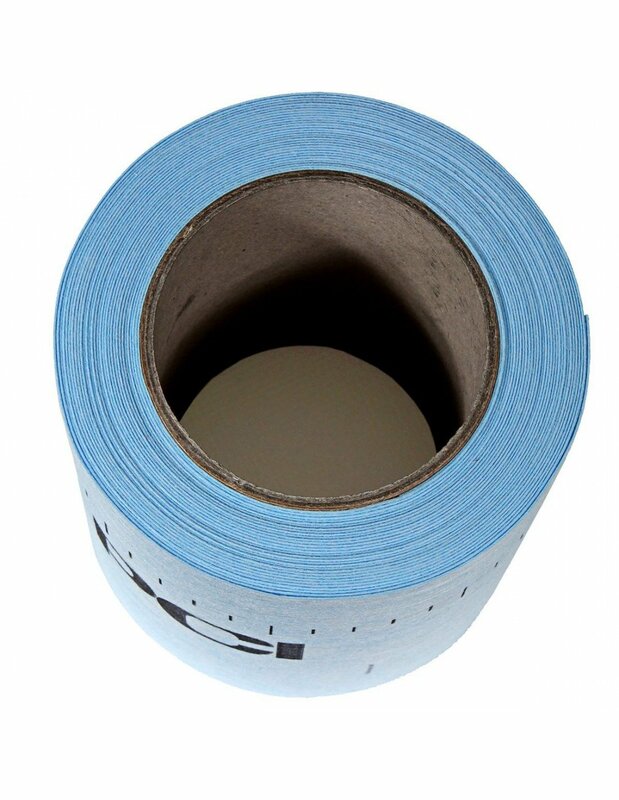 Apply internal or external corner piece PCI Pecitape 90°I or PCI Pecitape 90°A analogue to the application instructions for the waterproofing tape PCI Pecitape 120. Chat started. Session ID: 1556250023. You are now connected to: David M.